I’ve been itching to do a little watercoloring lately, so I thought I’d try something different for me. I made a watercolor resist background. I embossed some watercolor paper with white Stampin’ Emboss Powder using a cool stamp from the Boutique Borders stamp set. 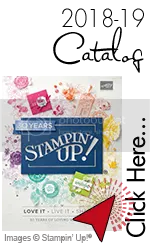 I love how easy it is to line up this stamp set and add row upon row with the photopolymer stamps — no Stamp-a-ma-jig needed. I used a paintbrush and a set of watercolor paints to color the background. Even though I chose most of the brightest colors in the set, this card turned out so soft and muted once it dried. This is a different look for me, but I kinda like it. The sentiment is from a Sale-a-Bration set called Simply Wonderful. We’d love to have you join us in this challenge. You can check out what the design team made over at the Freshly Made Sketches site for some inspiration. This entry was posted in Boutique Borders, Freshly Made Sketches Challenge, Sale-a-Bration 2015. Bookmark the permalink. Wow your background is glorious and definitely steals the show! Beautiful! Love how it turned out! This is AWESOME; how clever to make a rainbow on that dsp! Cute, cute, cute! 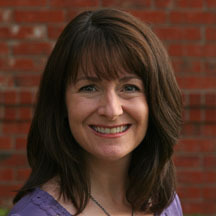 Love your card; TFS! Oh…this background…i’m in love!!! Love the rainbow colors and how soft they turned out! And i love that border stamp!!! Beautiful card,Amy!! Roy G Biv I love this card! The soft colors, the embossed texture – all good and I love it! Wow, what a beautiful rainbow background! This is such a cool card, Amy – I totally love it! Somewhere over the rainbow….! What a beautiful card Amy! I love that background! What an amazing way to create a background! So creative! This background is gorgeous, Amy! I love it so much. Such a perfect card for the sketch this week. What!!! This background is amazing Amy! 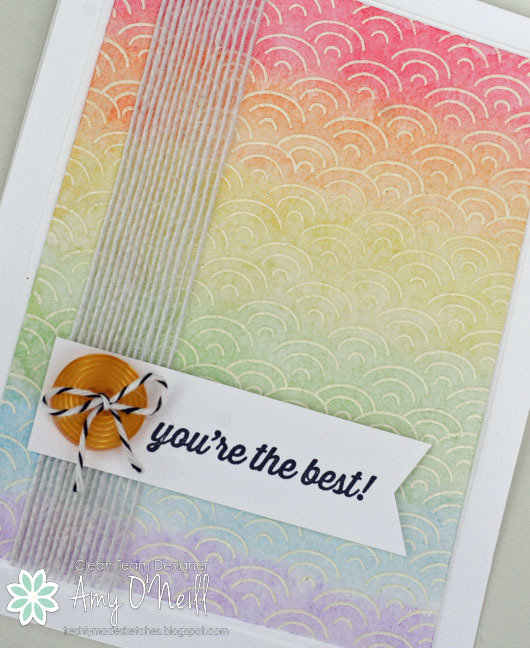 I adore how you’ve blended these soft colours – I love this card! You “kinda like it”? Oh my gosh, Amy, it’s amazing! 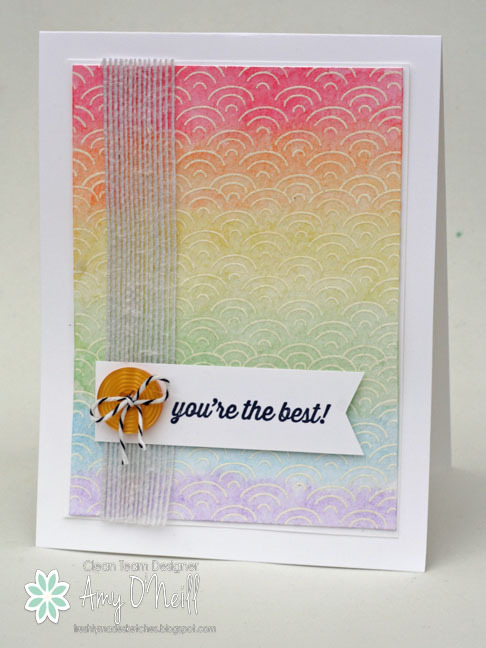 I love your choice of colors from one to the next, and I love the soft way it looks and shows the emboss resist. Gorgeous!